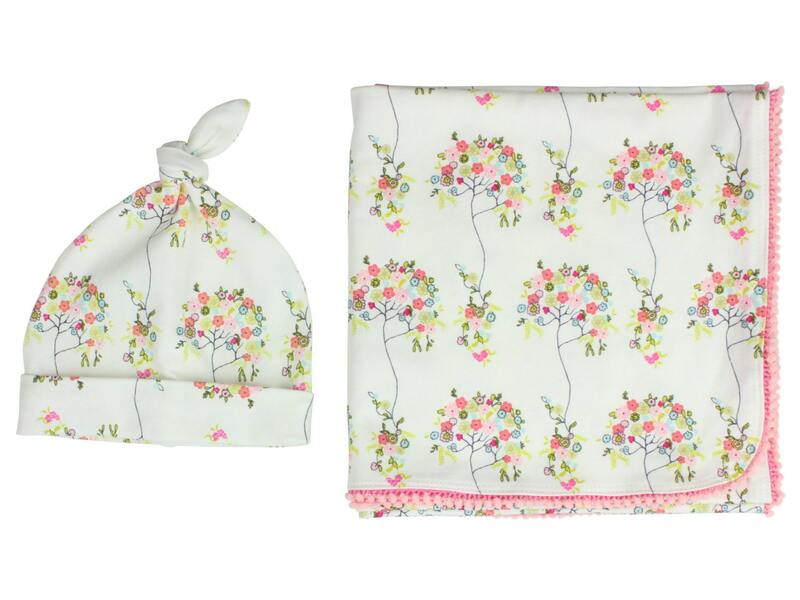 This adorable swaddle set is perfect for a newborn or young baby! 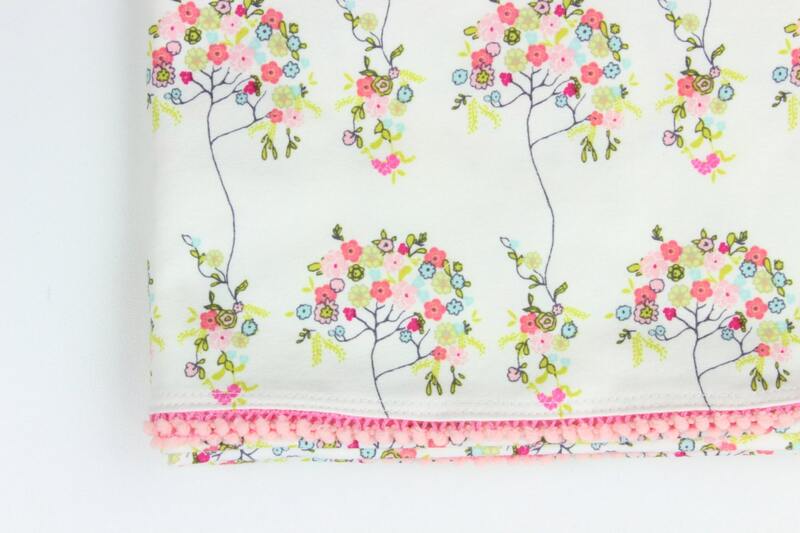 The blanket is professionally cover-hemmed and trimmed with mini pom pom. The blanket is made from 95% Cotton and 5% Spandex fabric that is super soft. 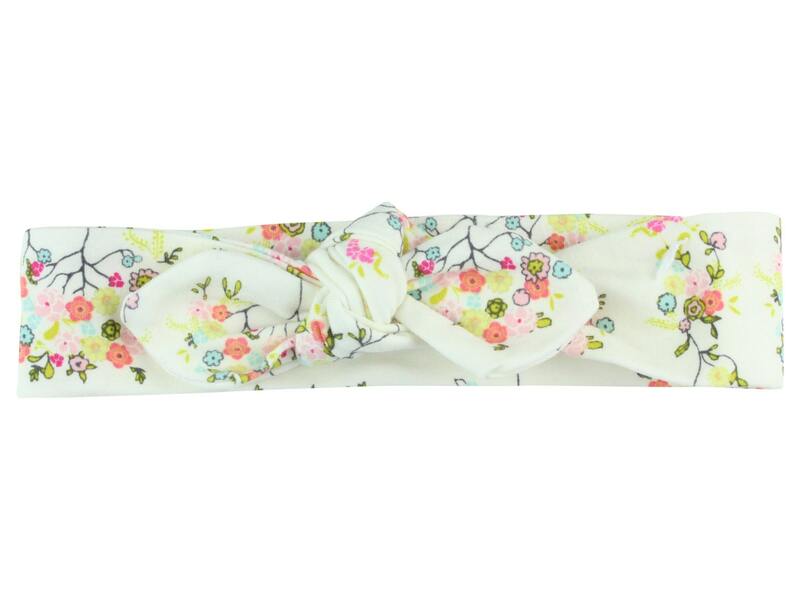 The stretch allows easy swaddling of the baby. Blanket is nice and large, measuring 36"x36". 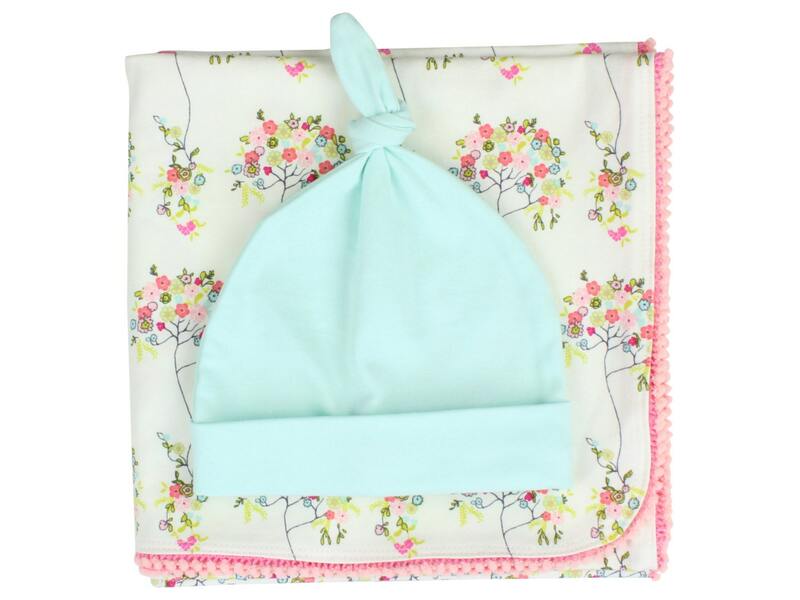 The blanket is available alone or with a headband or top knot hat. Please make your selection using the drop down menus. 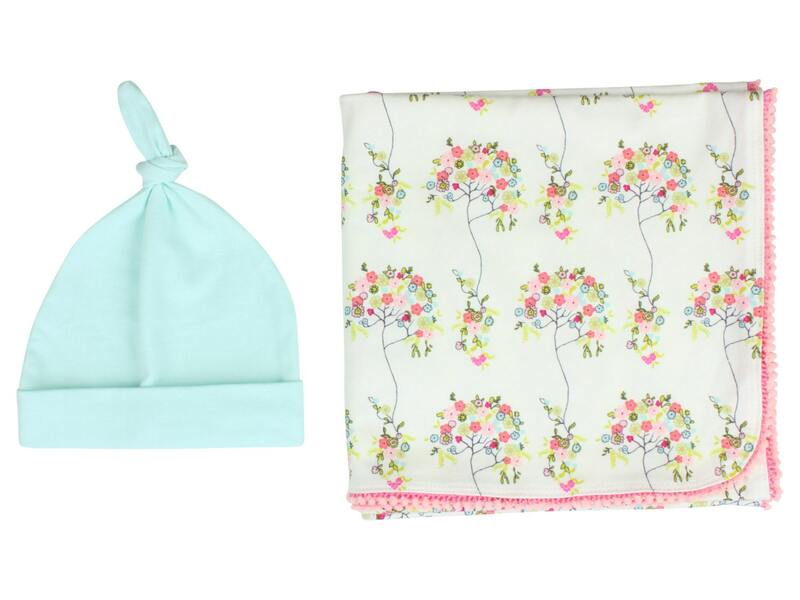 If you choose all three, please specify the fabrics for the hat and headband (solid aqua or floral).